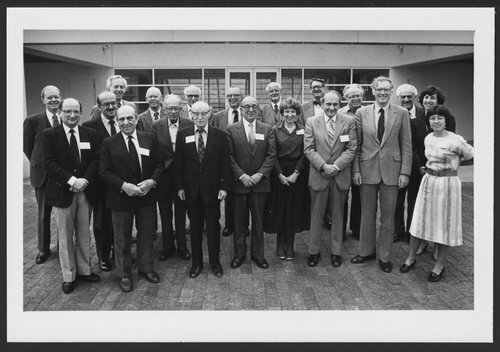 Attendees at the conference were : (front row) Otto Kernberg, Ramon Ganzarain, Serge Lebovici, Hans Loewald, Eric Trist, Jacob Arlow, Judith Wallerstein, Leonard Horwitz, Charles Hanly, Nancy Chodorow. (back row) Roger Hoffmaster, Roy Menninger, John Bowlby, Joseph Kovach, Robert Wallerstein, John Sutherland, Walter Menninger, Neil Smelser, Al Solnit, Joy Osofsky. Menninger Clinic treatment was psychoanalytically based.